Olivewavz is a newly established, CFA registered, Cornish Rex breeding cattery located in Southern Maryland. 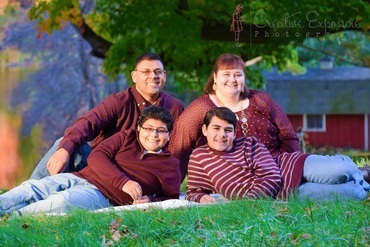 The Olivewavz family consists of me, Tiffany, my husband, Anthony and our two sons that are 18 and 15. Everyone helps out to take care of the cats and kittens. It is truly a family operation. While we may be new to breeding, we have learned and researched just about everything possible on the subject and have been advised along the way by some of the best Cornish Rex breeders. I have also been owned by cats my entire life and have turned my husband and sons into cat lovers. The origin of our cattery name comes, in part, from our last name, Oliveras. The "Wavz" part is pretty self explanatory, however, in addition, if you "mouth" the word 'olive', it looks like you are saying "I love", therefore, when you say our cattery name, it looks and sounds like you are saying, "I love waves"! And who can't love those marcel waves of a Cornish Rex?!?! All kittens that come from us will have all necessary vaccines, be de-wormed, micro chipped and spayed/neutered. All of our kittens are eligible to be registered with CFA and registration papers will be provided when the kitten goes to it's new home. We will not let any kitten go to it's new home before it reaches 4 months of age. This gives the kitten time with it's mother to learn everything it needs to know before going out into the big world. We do not and will not ship kittens as cargo. Other delivery options are available. We do participate in cat shows located around the North East year round, usually once a month. We would be more than happy to meet you at an upcoming show and deliver your kitten to you in person. Another option would be for you to fly to us (closest airports to us are Dulles, National and Baltimore) and fly home with your new kitten accompanying you in the cabin. Airlines charge around $100 for this privilege. Perhaps this may be a good way to use your frequent flyer miles! A third option is for either me or my husband to fly with the kitten in cabin to the airport closest to you. We have the ability to fly at a discounted rate on Delta airlines. The cost will vary for this based on where you live. We will only charge you for the cost of the ticket plus $50 to help cover incidentals. Lastly, if the distance is not too great, we are available to drive and deliver the kitten to you. The cost for this, again, is only what we estimate it will cost us to drive to and from your home (gas, food, hotel, etc.). In order to reserve a kitten, a non-refundable deposit of $250 is required, with the remaining amount due at the time you get your kitten. We accept cash, money orders, personal checks (for the deposit only) and PayPal (for the deposit only) . Through PayPal you can pay with a credit card or a bank transfer. If you are interested in being put on our waiting list, just send me your name and e-mail address. This does not guarantee you a kitten, but simply shows that you are interested in a future kitten from us (no-obligation) and we will contact you when we have expected or new litters. If we don't have any kittens available and you do not want to wait for the next litter from us, we can recommend other good breeders....just ask! If you see a kitten that you are interested in, please fill out and submit the contact questionnaire under the "Contact Us" section. Take a look around the website and please, if you have any questions, don't hesitate to ask! We do accept credit cards through PayPal.